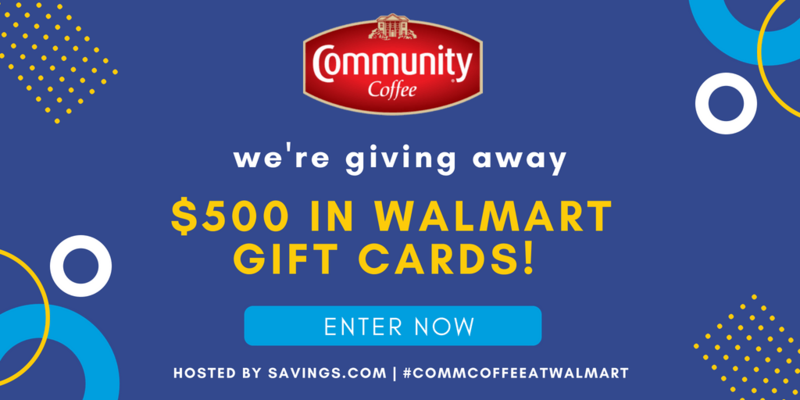 Here's a giveaway for $500 in gift cards from Walmart to support the Valpak Community Coffee Coupon, redeemable at Walmart stores! Ten winners will receive a $50 gift card from Walmart. Just enter the giveaway at to the Walmart page on Savings.com and submit your email address on the form at the top of the page. You have through the 27th to enter and winners will be chosen and notified on Monday (7/30) via the email address they used to enter.